A man who grew up in central Kansas is lost and missing in the mountains of Oregon and a search is on. The mother of 30-year-old Jeff Vance tells KSAL News he has been missing in since Saturday, February 2nd. Vance grew up in the Abilene and Salina areas. According to the Douglas County, Oregon, Sheriff’s Office Vance was reported missing on Monday, February 4th. A friend reported he and Vance had been lost in the woods for two days. 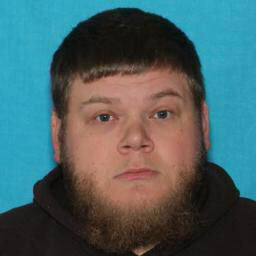 29 year-old Anthony Fennimore told authorities he and his friend had experienced vehicle problems after becoming lost. They eventually walked away from the vehicle together on Friday night, February 1st. The two became separated either Saturday night or Sunday morning. On Monday, Fennimore came into contact with some citizens who gave him a ride to where he made a call. Douglas County Search and Rescue have been searching and continues to try to locate Vance. The sheriff’s office is being assisted by Pacific Power, Oregon Department of Fish and Wildlife, Forest Service and Oregon State Police. The family says the search was paused over the weekend due to a snowstorm. After having lived in Kansas since 1999, Vance moved back to Oregon for work in October of 2018. Vance’s parents and siblings still live here in Kansas. A page has been established to assist the family in Kansas in expenses to travel to Oregon.